As a State gov worker, itâs encouraging to hear talented and dedicated public servants discuss problems, solutions, and trends that anyone in gov, at any level, can relate to. The positivity is refreshing and much-needed. This podcast is a reference library of trending government practices. It has become my go to for resourceful information. Not to mention the network of local governments experts you meet here. GovLove asks all the right questions. Real LocalGov enthusiasts provide all the right questions. This podcast is perfect for anyone and everyone. GovLove consistently provides quality content. Itâs my go to podcast when I need additional inspiration to challenge traditional government concepts. If youâre an active or aspiring local government professional, youâve got to get this in your rotation! A diverse set of hosts, guests, and topics. Thanks to ELGL for keeping this topical and really interesting! Runs listening to GovLov fly-incredible opportunity to learn from and be inspired by LocalGov awesomeness. This podcast provides a great way for me to learn about great things going on in local government while I am commuting to and from work. Itâs like a conference in my car. I look forward to the content in each episode - the only podcast Iâve found that delivers this diverse of content focused on city government. Thanks for helping me learn! My favorite part of this show is the way it brings out the humanity in the people who do the important work of local government. Straightforward and unboastful storytelling. GovLove is doing great work lowering the barriers to sharing best practices and connecting our local gov community! Iâm truly in love with this podcast. As a city government employee who cares about equity and the power of data, Iâm inspired each time I have a chance to listen to this podcast. Whether the topic is directly related to my work (which is often) or not, these thoughtful interviews with high performing (and deeply caring) government leaders never fail to provide new insights and deepen my respect for others who do this work. Give it a listen sometime soon! Iâve come to realize at the ripe old age of 27 that my dream job is to one day be Mayor. Of where? Iâm not sure. Is 13 year old severely disappointed? Probably. Is the Gov Love Podcast both a great refresher in all things local politics and a palate cleanser for those of us who have given up on the idea that there are dedicated civil servants out there who just want to help their city and not cause international drama? Absolutely. Love this show. This is my favorite multi city government podcast. Check it out! Even if you donât work in local governments (I work for a Nonprofit) this is a great podcast for the nuts and bolts, or the âblocking and tacklingâ for how our cities can get positive things done. There is a broad spectrum of topics covered. Anything from housing, public works, technology, healthcare, City council or the opioid epidemic, with the GovLov Podcast, you will find something that will make any policy-wonk or local govât nerd smile. I've been listening to GovLove for two years now and it's been a great part of my week. I even re-listen to my favorites from time to time. Aside from it being fun, the things I learn on this podcast from guests have actually helped me be a better councilmember in my own city (Pullman, WA). This podcast is a must listen for even non government folks. Engaging hosts. Interesting guests including Malcolm Gladwell and actor from Parks and Rec. Thank you, ELGL! ELGL membership has so much value!!! I recently discovered this podcast and have become a quick fan. If youâre looking to learn from local government leaders around the country, look no farther. Usually Iâm listening to this in the car, which is unfortunate, because Iâm always trying to jot down a note or two from all the great guests. Good motivation to develop better public transportation ð. I recently discovered the GovLove podcast, and Iâm glad I did. Itâs refreshing to hear the perspectives from other public administrators across the country. The podcast does a great job humanizing the interviewees by having them share some fun tidbits about themselves, and it helps keep the podcast from sounding like a lecture. I like getting a taste of each of the personalities being interviewed. Would recommend this podcast for anyone in public administration! The best podcast for anyone in government or wanting to be in government. Diverse topics, with great people, enjoyable for any listener! Lucky for us itâs what GovLove likes, talking to folks and asking questions on the mic. Microphone, check check, on the 1âs and 2âs; interviewing city leaders about their careers and what they do. GovLove podcasts are where itâs at, great conversations and points about this and that. Itâs an awesome way to share the human side, of city leaders who lead, deliver and guide. You connect us in a meaningful way, so we can share ideas and solutions every day. Theme music at the end highlighting a favorite song, music always in the mix and youâll never go wrong! Lucky for us itâs how you roll, engaging local government leaders as the ultimate goal. Thanks oh thanks for the GovLove podcasts; they are educational and an exciting blast! This is a great podcast for anyone working in or around local government. It really gets you to thinking outside of the box. I love this pod because it so often inspires me to make changes in my own community! Thanks so much! If you love government and hearing from influencers and up and comers this is your podcast. A lot of fun episodes. I love to hop around and listen to the various episodes! Local government is truly the government of the people. Itâs the level of government where we, the people, can have the most interaction with elected - and appointed - government officials...and the Gov Live podcast provides excellent insight into many of the brightest and best of these individuals. They share their ideas, insights, and fun facts...to help increase the effectiveness for cities and towns all over. If youâre interested in how to improve your own city, listen to Gov Love...and then bring the ideas you like back to your local leaders. Gov Love may have changed my life. I reached out to the most rad lady Iâve ever talked to from one of the episodes. Got lots of new info, heard from cool people, and got excited about local gov! This podcast makes local government fun! 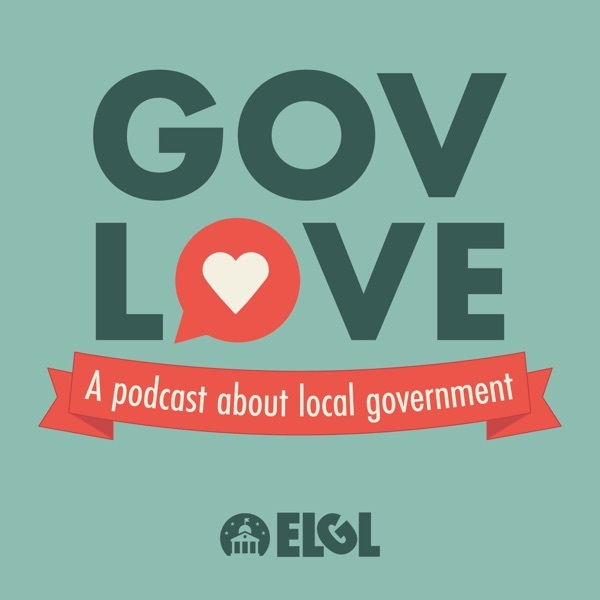 Govlove is a terrific podcast for learning and understanding the most impactful level of government- your local government. It is great for anyone- citizens who would like to know more, MPA students, seasoned vets of the preofession, and elected leaders. I am excited to see how the innovations discussed in this podcast spread, and how this community impacts the next generation of leaders. Knope? Not just for local gov peeps! Great podcast for anyone looking to solve problems, build great teams and move up in their career. If you have a passion for public service, youâll hear from lots of awesome professionals who feel that way too! I recently found the podcast and I have to say how impressed I am with the quality of the interviews. I especially enjoyed the recent podcast with Clarence Anthony from NLC, which led me to download some previous releases which were also excelent. It is really nice that you include both the personal stories from your guests as well as the professional and policy interview questions. I think it is easy to forget that public service professionals are people first - not just politicians, officials or public personalities.Great job, ELGL and keep up the good work! GovLove is a fascinating trip into all things local government. Whether you are a local government wonk or a resident of a city, you will learn interesting tidbits about how your government works and can improve.My parents experienced ~8 hours of GovLove on an impromptu road trip and marveled at the breadth of topics covered and the depth of information and perspectives included on GovLove.